The Crossing is a long-term project lead by Edward Schocker that creates a new form of ecstatic group improvisation through investigating ancient Asian musical genres, such as Japanese Gagaku and Korean shamanist ritual music, with the goal reaching a state of communication with spirit world. Composer, pianist and improviser Shih Yang Lee, who last appeared at the Festival in 2015 with performances with Horse Dance Theatre and Melody of China, returns to share an experimental concert with some of the Bay Area’s finest improvisers and experimental musicians. Jenny Maybee’s “eloquent and heart stopping” piano playing and vocals have been hailed as “expertly balanced,” with her voice described as “exquisite” and “in the same league” as Billie Holiday, and her piano stylings compared to Keith Jarrett, Chick Corea, McCoy Tyner, and Cecil Taylor. Jenny’s trio, featuring John Wiitala (bass) and Hamir Atwal (drums), will bring an evening of innovative music to The Sound Room. Rooted in the jazz and classical traditions, yet always breaking new ground, the trio will present original compositions and arrangements of favorite jazz standards. E4TT and guest cellist Anne Lerner-Wright will close their season with a concert comprised of music by 2016 Call for Scores winners Derek Jenkins, Molly Joyce, Sam Krahn, Eden Lonsdale, Daniel Mehdizadeh, Weiwei Miao, Stephen Mitton, Justin Henry Rubin, Alexander Skripko, Grace Xu Schott, and Christopher Wicks. Also programmed is San Francisco composer, Alden Jenks. World Premiere of New Work by Martyna Kosecka. DIRTY PROJECTORS AND KAMASI WASHINGTON at McCarren Park (June 8, 6:30 p.m.). 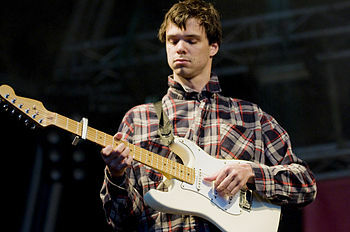 The Dirty Projectors frontman David Longstreth took his long-running art-rock project in a surprising new direction with the February release “Dirty Projectors,” a searing concept album about his breakup with a former member of the band. At this show, presented by Northside Festival, Mr. Longstreth will be joined by the cosmic jazz saxophonist (and Kendrick Lamar collaborator) Kamasi Washington as well as the Bay Area singer-songwriter Jay Som. CONNIE CROTHERS TRIBUTE at Greenwich House Music School (June 3, 7:15 p.m.). The pianist Connie Crothers embodied the teachings of her mentor, Lennie Tristano, then took them with her as she entered a new and freer zone. An inventive improviser, she let a singer’s attention to melody be her guide; as a result, she played experimental jazz piano with a remarkably gut-opening, humane effect. And she made a deep impression on students — dozens of them, many of whom became devoted apostles of her teaching style and her legacy. Several of those musicians will perform in this free concert, including the pianist Carol Liebowitz, presenting her wonderful duet with the clarinetist Bill Payne, and the pianists Kazzrie Jaxen and Virg Dzurinko, also playing in duo. BRANDON SEABROOK at Joe’s Pub (June 8, 9:30 p.m.). Mr. Seabrook plays the guitar with a sharp and scratchy attack, as if he were clawing the notes off the instrument’s wooden surface. His new album, “Die Trommel Fatale,” out June 15, passes you through a gantlet of anxiety, promising little more than cataclysm at the other end. The music calls to mind the electric-acoustic composers Richard Tietelbaum and George Lewis while taking the throttling experimental rock of bands including Battles, Liars and Women into more deeply cracked terrain. Mr. Seabrook will perform with the personnel from that album, as well as a second bassist: Chuck Bettis on vocals and electronics, Marika Hughes on cello, Dave Treut and Sam Ospovat on drums, and Eivind Opsvik and Henry Fraser on bass. INTERNATIONAL CONTEMPORARY ENSEMBLE at Miller Theater (June 6, 6 p.m.). A free pop-up concert explores the animal-like behaviors of instruments, through music for solo and duo forces. There’s the premiere of Dai Fujikura’s “White Rainbow” for Indian harmonium, as well as scores by Drew Baker, Mikel Kuehn, Ann Cleare, Suzanne Farrin and Alex Mincek. LOCRIAN CHAMBER PLAYERS at Riverside Church (June 2, 8 p.m.). This ensemble, one of the city’s best-kept musical secrets, gives infrequent performances of contemporary solo and chamber music in the tower of Riverside Church, free, and played to a very high standard. On the bill is music by George Crumb, Michael Gordon, Toshio Hosokawa and Brian Fennelly, with premieres from Carlton Wilkinson and David Macdonald.